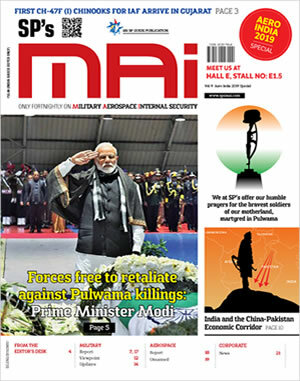 The message from the informal meet between Prime Minister Narendra Modi and Chinese President Xi Jinping at Wuhan on April 27-28 was both agreeing to strengthen communications between their militaries and keeping peace along the shared borders. A statement from the PMO said, both leaders issued "strategic guidance to their respective militaries" to strengthen communication and build trust, and both sides agreed to handle differences with maturity and through discussions. Foreign Secretary Vijay Gokhale stated the two leaders had urged their respective negotiators to intensify efforts to reach a mutually acceptable outcome on border issues, and Chinese Vice Minister of Foreign Affairs Kong Xuanyou said China is open to exploring various discussion platforms to reach "a fair and reasonable solution", but such statements have been made in the past without much headway despite 20 rounds of talks on the issue. 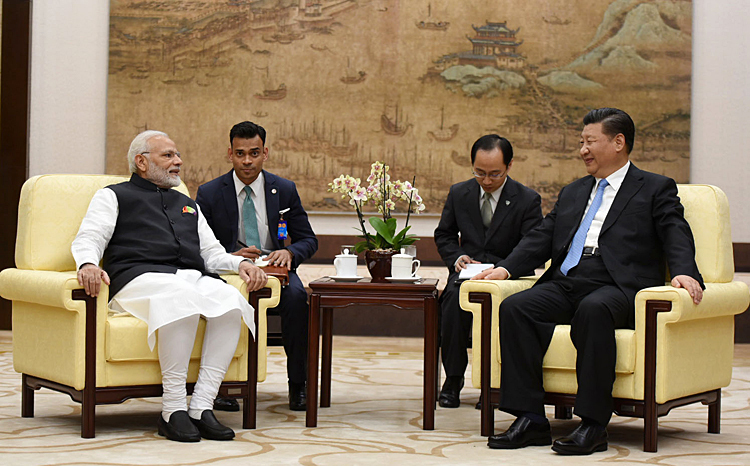 Post the Wuhan meeting, our media has been reporting that the Line of Actual Control (LAC) may see a new set of rules as a result of the Modi-Xi discussions. 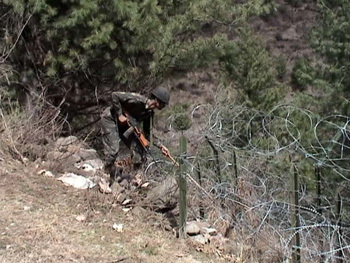 There is mention of "coordinated patrolling" and "sticking to mandated protocol" along the LAC by troops of either side, saying aimed at reducing tension along the LAC, these two steps along with the setting up of a telephonic hotline at the level of Director-General Military Operations (DGMO) could form the new set of rules for troops on either side of the LAC. An Indian statement from Wuhan, quoting Modi-Xi's dictum to respective militaries to build "trust" and have a mechanism to "prevent" incidents in the border regions, mentioned enhancing predictability and effectiveness in the management of border affairs. There has been media speculation that 'coordinated patrol' could imply advance information to one another when patrol parties enter 'disputed areas' and "sticking to protocol" along the LAC (albeit there is already provision of soldiers showing a banner to one another under the 2005 'Guiding Principles' agreed by both sides) and saying there is need to back off from the present positions of patrolling. The "banner drill" is framed under the "protocol on modalities for implementation of CBMs in the military field along the LAC in the India-China border areas". It is part of a protocol agreed upon to de-escalate momentary transgressions. On May 3, 2018, Indian media quoting unnamed official sources reported instructions having been issued saying the LAC and its sanctity needs to maintained, meaning don't yield ground. However, the instructions bar any jostling, touching, heckling or shouting at troops from across. Such jostling had happened in the past in 'five fingers' area of Sikkim and during the 74-day Doklam standoff last year. There was also the incident of ston-pelting by PLA troops on an India patrol in area of Pangong Tso last year, which was replied to in similar manner. The Army has reportedly told its young officers in the field to follow the laid down protocol in dealing with any Chinese presence in disputed areas along the LAC. Notably, "protocol on modalities for implementation of CBMs in the military field along the LAC in the India-China border areas" a 2005 agreement has to be followed. It is part of a protocol agreed upon to de-escalate momentary transgressions by soldiers of the two countries. It details each step to be followed in case troops come face to face. It says both sides shall cease their activities in the area, not advance any further, and simultaneously return to their bases. These instructions boil down to: one, in case troops come face to face, both sides shall cease their activities in the area, not advance any further, and simultaneously return to their bases; two, throughout the face-to-face situation, neither side shall use force or threaten to use force against the other, and; three, it calls upon both sides to treat each other with courtesy and refrain from any provocative actions. Neither side shall put up marks or signs on the spots. The moot question here is has the PLA issued similar instructions down the line? The Chinese media has not even made any reference to "strategic guidance to their respective militaries" other than quoting from Indian media. The question of joint patrolling or coordinated patrols is impractical with the LAC not marked on ground and perceptions varying by kms. Besides, China claims the whole of Arunachal Pradesh. Yes, banner drill exists but PLA has been coming very deep in Eastern Ladakh and putting up banner that it is 'Chinese territory'. The 2013 Border Defence Control Agreement (BDCA) also forbade shadowing patrols of the other side. In effect there is little change from what has been happening till now. Yes, our patrols may not leave any tell-tale signs on ground, the PLA may or may not. Sure, the young officers would hold their horses (no jostling, pushing) but given the instructions that "LAC and its sanctity needs to be maintained", what happens if PLA troops come real deep and sit down with banners saying it is their own territory? To-date China has never admitted it is intruding in our territory. So, the ball is actually in China's court. We need to prepare accordingly. As for the DGMO-to-DGMO hotline, it may become operational in the near future. The issue was discussed during the 20th round of special representatives (SR) talks on boundary on December 21-22, 2017 between NSA Ajit Doval and his Chinese counterpart, State Councilor Yang Jiechi. The two sides have reportedly coordinated on how to have a Mandarin-to-English translator in India and the reverse of it in China. Yes, joint military exercises would resume.